A number of stories have come out of the famous Buckinghamshire mansion called Bletchley, where Britain housed its code-breaking team during World War II. The best-known is that of Alan Turing, a key code-breaker who is widely regarded as a father of the modern computer. 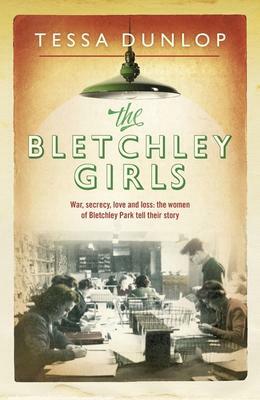 No real account, however, has been given of the work of the girls at Bletchley who, by l944, had outnumbered the men by three to one. Tessa Dunlop tackles this subject in her current book, The Bletchley Girls, and she does so as a qualified historian. She received the Gertrude Easton History prize at Oxford University and has been awarded a PhD scholarship at Sheffield Hallam University. She picks fourteen women, still alive in their nineties, and gives a detailed account of how they all wound up in the code-breaking organization. It turns out it was young girls who operated the unwieldy machinery, made sense of wireless sound waves and sorted the decoded messages that would eventually help lead the Allies to victory and the world into the information age. They had all signed the Official Secrets Act, and so for years none really knew what they had done. Tessa Dunlop tells how Bletchley was dependent on radio interceptions. Scattered across Britain with international outposts as remote as New Delhi and Columbia, Y-stations, big and small, were the nerve centres of an eavesdropping operation, intercepting the gobbledygook messages to pass on to Bletchley Park. Some 8,500- 10,000 people worked at Bletchley Y-stations. This is a fascinating account of what they achieved.